The other clutter is just for scale. It's a daughter plant of an older one that my family had for years, no one knows what it is. It would be easier to identify if you could show a close up of the leaves but I believe your plant is in the Dracaena family. 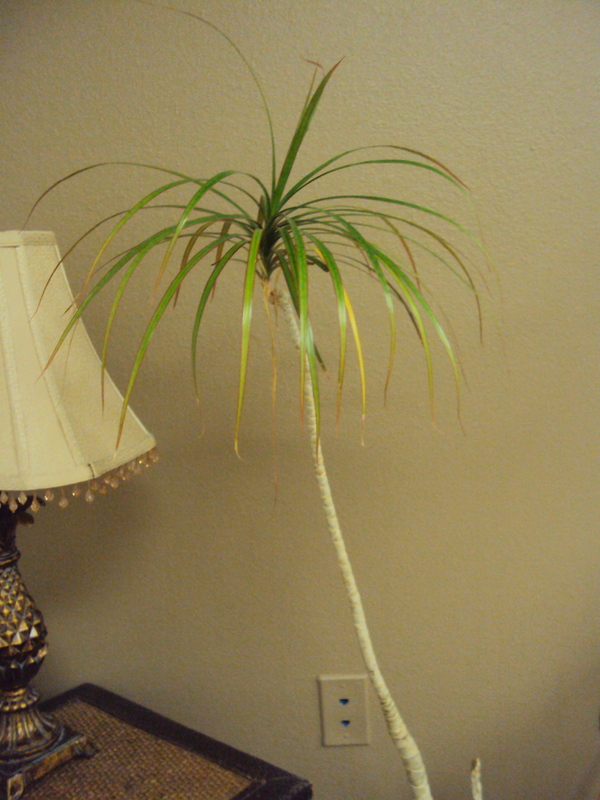 It appears to be maybe a Dracaena Marginata (Dragon Tree) or a Dracaena Deremensi. Maybe someone else can better identify it. If no one can help you here, you could take a closer photo and either go down to or e-mail the cooperative extension center nearest you. They have master gardeners who can answer. I've also had pretty good luck going to my local garden centers and even the garden center of the Home Depot. It appears to be a palm of some sort. I would send this picture and a close up of the fronds to gardenweb.com for identification. IT very much looks like a Draecena. It does well in filtered sunlight, and the soil should always be moist, but not soggy. But watch out because this plant can get to 6 or 10 feet of height without pruning! After more research I have found a very good site for instructions on how to care for your plant. Maybe look carefully at the instructions for Propagation in case you wish to go that way. 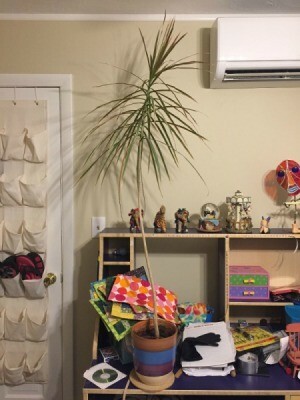 As stated earlier, Dracaena Marginata (Dragon Tree) or even a Dracaena Marginata Tarzan but maybe if you look at some of the photos and descriptions you will be able to narrow it down to a single name.